WE'VE BROUGHT THE COMPUTER AGE HOME. 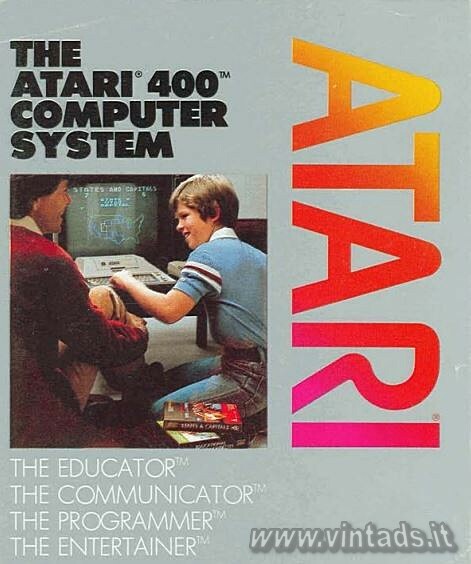 The ATARI 400 Computer System is designed to be used by just about anyone. So, now you don't have to be a wizard to enjoy the wizardry of computer technology. With the ATARI 400 Computer System all you need is the ATARI 400 Computer, one or more of the ATARI starter kits and any television set! The revolutionary ATARI 400 Computer is sophisticated, easy to use and easy to afford. It’s perfect for the entire family. With it you can play the ultimate in computer games, teach yourself new subjects and skills, hook up to major information networks and personalize your computer by programming it yourself. Its revolutionary, and no wonder; it’s from Atari. 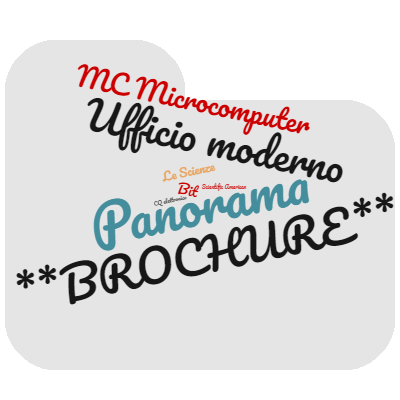 Abbiamo portato l'era del computer nella vostra casa.